An actress famous for taking strong roles in provocative films like 21 GRAMS, ANTICHRIST and the upcoming THE TREE and MELANCHOLIA, Charlotte Gainsbourg reveals why she draws so much inspiration from her own life. 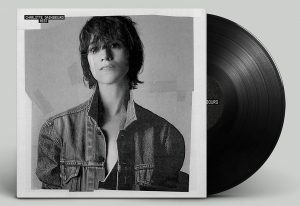 If famous parents can be a burden that weighs heavy, Charlotte Gainsbourg is the exception that proves the rule. The actress-musician — who turns 40 in July — has defiantly emerged from the considerable shadow cast by her mother, English actress Jane Birkin, and father, French singer Serge Gainsbourg, notably after Lars von Trier’s Antichrist won her Best Actress in Cannes in 2009. While she reunites with the Danish provocateur for his forthcoming end-of-the-world saga Melancholia, before that comes Julie Bertuccelli’s Australian-set The Tree. Playing a mother stricken by the sudden death of her husband, it continues a theme that has haunted Gainsbourg since a 2007 waterskiing accident in Miami left her with a life-threatening blood clot on the brain. What do you make of your character in The Tree? I like the fact that she’s not a perfect mother at all. In my idea, he was the strong character in the family. The father was the strong character, the responsible character. And she was able to be original and to have her own ways. When he dies, she can’t cope with the responsibilities. That’s the way I took it. And she has to slowly learn and discover her role. I like the imperfection of a character. I find it more interesting than playing a perfect mother. I’d find that not interesting at all. The film was shot in Queensland in Australia. Was that something of a culture shock? Sort of. Nature shock! Because I live in Paris, I’ve always been in cities. For the first time, spending three months really in the middle of nowhere — because that was where we were — was very… very strong for that story. We needed that. And then there was the fact that I went there with my own children [Ben, 14; Alice, 9] without my husband [actor-director Yvan Attal]. We were three women — the producer, Julie and me — on their own with their children. No men around. And because of the story, it did make sense. It was very helpful. What is your relationship with nature like? I feel quite distant. I’m not that close to nature. I love being in the countryside and taking holidays. I can very often feel completely disconnected. So being forced to have this relationship with nature, with this film, was very new. It was a discovery and I liked that process. There are a lot of similarities to Antichrist, with the grief-stricken mother, etc. Was that in the back of your mind while shooting? You think it’s similar? Really? No no, not at all. Of course I can find links from one another, the grieving, the loss and nature. But apart from that… for me, it’s a film about a family reconstructing themselves, and that journey. Lars’ film was not about that. Still, both films are haunted by the spectre of death. Is this a preoccupation of yours? I like thinking about death. I’m scared… but it’s part of everyone… I imagine everybody [has] preoccupations. It’s a powerful subject. The weird thing is, since I’ve had my accident, I’ve done Antichrist, which was about death, I’ve done this film, which was about death, and I’ve done an album [IRM] which talks a lot about death and memories. So of course it must’ve done something. But at the same time, I haven’t written those scripts. They came and looked for me. Of course, I was attracted once I read it. But it was a coincidence. When you won Best Actress for Antichrist in Cannes, you mentioned shocking your late father, in your acceptance speech. Is he always in the back of your mind when you act? I’m not living my life, only with that relationship. It’s very important to me, and I had to say this — and it was important. But I’m not doing films thinking about him all the time. And I’m not doing music only thinking about him. But it’s true… it’s an important part. Are you still very much involved in licencing tracks by him for use in films, etc.? We’re four children, so they all have to be asked. It goes through a company and they just give us the demands. It’s something I have to put my nose into a lot. The thing is, I like to keep things secret. After all those years, it’s still painful and difficult for me. The fact that I’m forced to think about it, to decide… I don’t find it easy. I often tend to make things happen without really focusing on it. Did you ever ask your mother for tips on acting? We’ve never talked about choosing parts. But sometimes I’d ask her to read scripts I wasn’t sure about. But not asking her tips, no. It was more to do with general mother-daughter stuff. It’s true that I’ve asked her advice — having children, bringing them on the set. The more practical stuff. Did you always know you wanted to act? Not really. I started when I was 12 and I don’t really think that when I remember those years, I can’t say I was really willing to be an actress. It came while I was doing it. The pleasure came. Do you have strong memories of your early films, like L’effrontée? Oh, yeah. Especially that one, and La petite voleuse, because they were very important films for me. I liked being that age and experiencing shoots with a lot of naïveté. I remember them very precisely. You’ve just had a second Lars von Trier experience with Melancholia. How was that? Well, I didn’t know him very well on Antichrist. I have the impression I know him a little bit better, after this. The work was… it was different. Very different. But pushing in the same way. On Antichrist, I was playing him and Kirsten [Dunst] was playing him in this film. Can you compare Lars to Julie Bertuccelli? I can’t compare them. They’re very, very different. With Julie, it was her sensibility, her personality that I was looking for. I didn’t think about Lars. Each time you do a film, it’s the relationship to the director, more than the script… that to me is more important. The Tree opens on August 5. Melancholia is released on September 30.